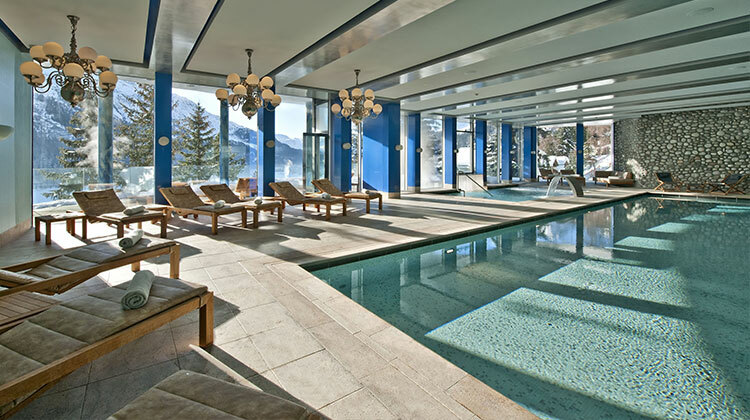 Share the post "Sun and Sand to Snowy Switzerland for Santhosh"
Santhosh Health, Wellbeing and Fitness Retreats has partnered with The Carlton Hotel St. Moritz to host the first Swiss iteration of the world renowned, luxurious destination retreats. From March 16th-20th, 2016 the winter wonderland of St. Moritz will have the honor of hosting Santhosh outside of Ibiza, its original home. Wellness travelers in search of natural beauty and wonder will be welcome to find personal balance and center themselves in the Swiss Alps. Coinciding with the five-day Santhosh Retreat, St. Moritz’s annual Music Summit will also take place, welcoming world renowned DJ’s who will electrify the muted mountain village. Guests of the retreat will also receive complimentary access to two music events, to enjoy the once in a lifetime experience of Europe’s highest music summit. Aside from attending the summit, Santhosh will provide its participants with ample opportunity to be taken over by rhythm, incorporating a combination of dance and Pilates to the five-day program. In addition to the more active elements, yoga will envelop guests in calming relaxation techniques. In addition, a massage, and access to the onsite spa will be provided. Founder Samiya Nordeen compiles a holistic itinerary for her retreats to attract wellness seekers of all kinds. Derived from the Sanskrit word for happiness, Santhosh came to mind for Nordeen on a mountaintop, after struggling to reach the peak. There, she determined to make changes in her health, and has since persevered in order to achieve personal happiness. Since that epiphany, Nordeen has achieved emotional and physical well-being and has shared her experiences in Ibiza, London, Sri Lanka, and more through Santhosh Retreats – the epitome of luxurious wellness events. With beautiful and tranquil scenery, St. Mortiz is the next destination where her techniques will be revealed. Participants will be whisked to the elevated village set on a frozen lake in the Alps, by traveling through a UNESCO world heritage site. 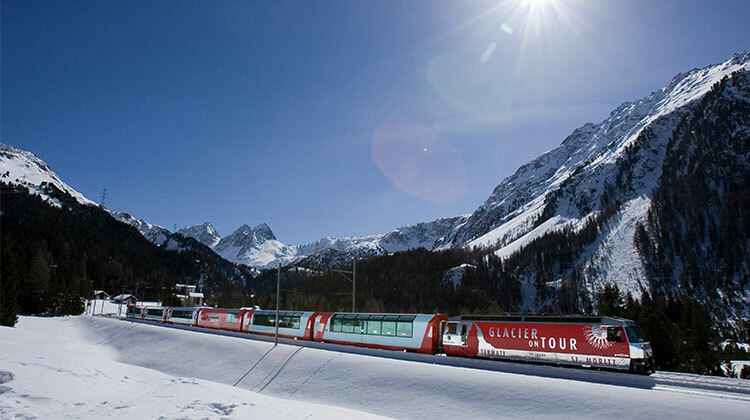 The Glacier Express St. Moritz is one of Switzerland’s most scenic trains and provides travelers with an unforgettable experience. Untouched mountain landscapes, deep gorges, and captivating valleys are just a glimpse of what this amazing journey will offer. After approaching the retreat in style on a cultural journey with sophisticated ambiance, The Carlton St. Mortiz will await. The property is one with a long and rich history, dating back to 1913. In both times of hardship and success, the hotel has remained resilient and respected among the most alluring hotels in Switzerland. 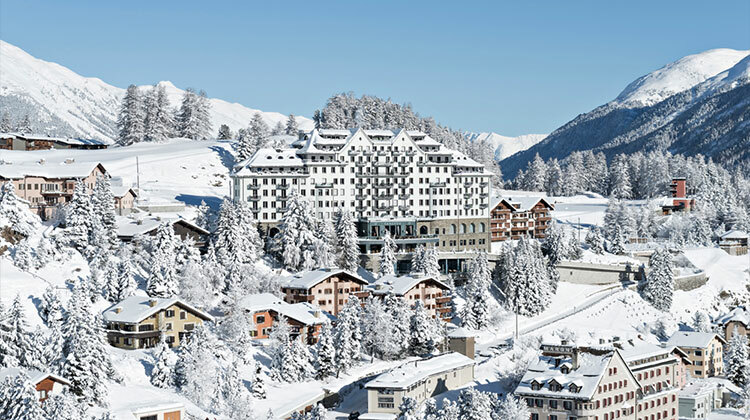 The Carlton Hotel St. Moritz’s Michelin-starred restaurant Da Vittorio-St. Mortiz is amongst the top restaurants in haute cuisine. 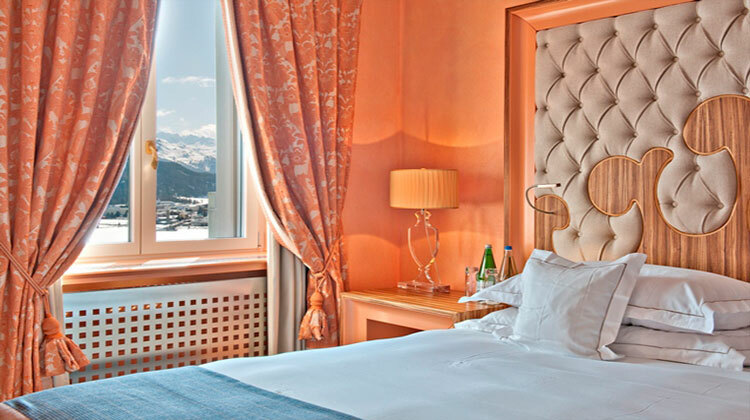 Rooted in fine technique and featuring authentic dishes, dining at Da Vittorio-St. Moritz will give epicureans a taste of Italy in the Swiss Alps. 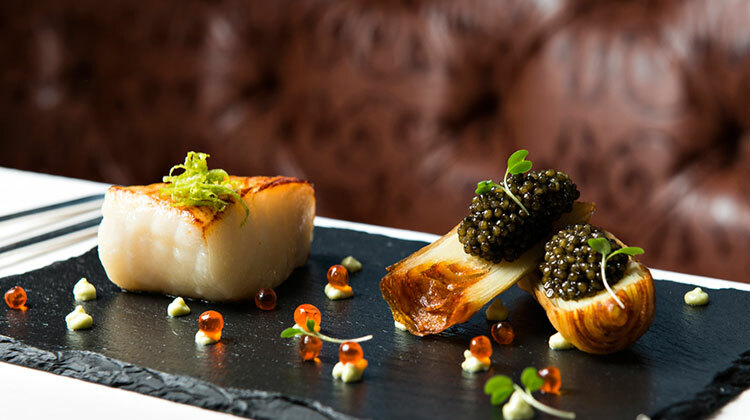 The restaurant’s traditional menu offerings include: fish and crustaceans, delectable pastas and heavenly preparations of lamb, deer, steak and duck. Guests will be treated to a tasting menu of these delicious dishes, keeping in mind best practices of health-aligned moderation.